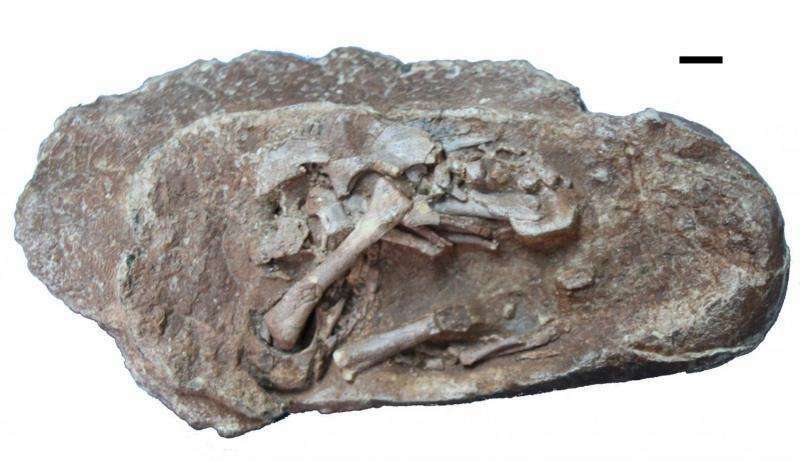 A new method used to perform geochemical analysis of fossilized eggs from China has shown that oviraptorosaurs incubated their eggs with their bodies within a 35–40° C range, similar to extant birds today. This finding is the result of Franco-Chinese collaboration coordinated by Romain Amiot of the Laboratoire de géologie de Lyon: Terre, planètes et environnement (CNRS/ENS de Lyon/Université Claude Bernard Lyon 1). The article is published in the journal Palaeontology and will be available online on June 28, 2017. Dinosaurs' reproductive strategies, and in particular the way they incubated their eggs, still raise numerous scientific questions. Until now, interpretations have been based on indirect indices such as the morphology of fossilized eggshells or the organization of nests. Researchers from Lyon, working in collaboration with a Chinese team, have developed a method based on the geochemical analysis of fossilized eggs and have calculated for the first time that the oviraptorosaur eggs were incubated within a 35–40° C temperature range. Oviraptorosaurs were feathered bipedal dinosaurs with a beak, giving them an appearance reminiscent of certain birds. A member of the theropod group, they weighed a few dozen kilos and could measure up to two meters in length. 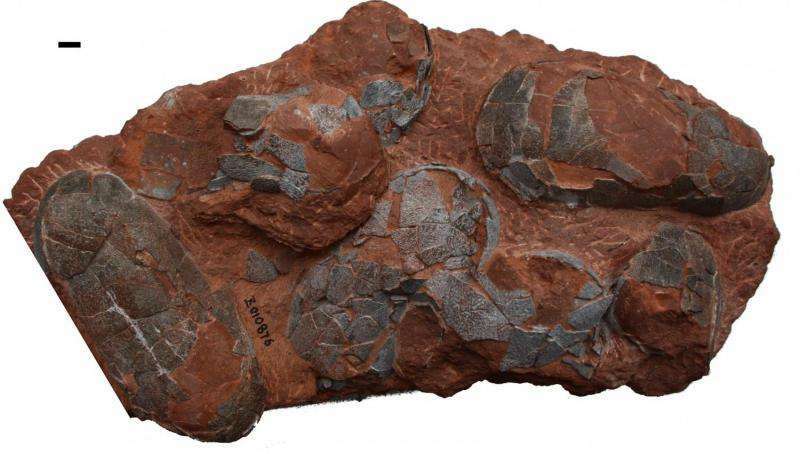 In order to determine the temperature at which these dinosaurs incubated their eggs, the researchers analyzed seven fossilized eggs recovered from southern China. These 70-million-year-old eggs still contain embryos. Both the eggshells and the embryo bones were analyzed in order to determine their oxygen isotope composition. During the formation of the embryo skeletons, oxygen from the egg fluids was transferred to the embryo bones, the isotopic abundance of which would depend on the temperature of the egg. Taking these measurements into account, the researchers—assisted by a physiologist colleague—were able to model the different developmental stages integrating the oxygen isotope compositions. In doing so, they were able to ascertain the temperature at which the egg was formed: between 35 and 40° C. By way of comparison, crocodiles, which bury their eggs, incubate their eggs at a temperature of around 30° C, while hen's eggs are incubated at 37.5° C. According to the researchers, the incubation temperature calculated for the oviraptorosaurs eggs is thus coherent with the way these dinosaurs are thought to have incubated their eggs.